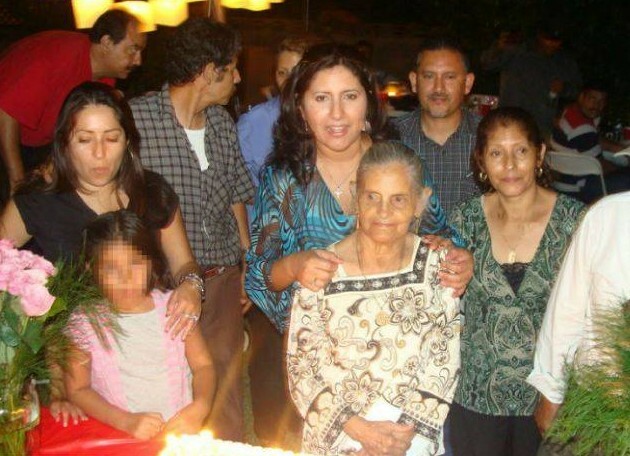 The picture above shows Maria de Jesus Arroy and family on her 80th birthday, just a week before the unfortunate incident. Her family can go ahead with a lawsuit against a California hospital after a pathologist claimed there was evidence suggesting she had attempted to get out of the body bag after suffering a heart attack. A lower-court judge had dismissed a lawsuit brought in May 2012 by relatives of the 80-year-old, but an appeals court ruled this week they could pursue a new claim. Employees of a funeral home chosen by the family to pick up the woman’s remains from the hospital morgue discovered her lying face down in a body bag half-unzipped. She had bruises and gashes on her face and a broken nose, according to the court record. Family members who had seen Arroyo’s face without injuries just after she was pronounced dead assumed her corpse had been mishandled by hospital morgue workers. However, pathologist Dr William Manion claimed she eventually regained consciousness and ‘damaged her face and turned herself face down as she struggled unsuccessfully to escape her frozen tomb’. The family dropped its original negligence lawsuit and filed a new claim, accusing the hospital of malpractice and wrongful death. The White Memorial Hospital in Los Angeles denies the claims. This entry was posted in News, Women and tagged Maria de Jesus Arroy and family.